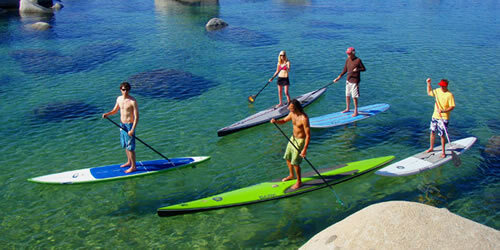 Stand Up Paddle Board Insurance for Instructors is a necessity when taking clients out on the water. We have developed the most affordable coverage in the country and have been endorsed by the Stand Up Paddle Industry Association (SUPIA). We offer up to $5,000,000 in aggregate coverage for instructors with $1,000,000 per occurrence limits. We also offer coverage for your SUP boards, paddles and safety equipment. Paddle Board and Stand Up Paddle Board Insurance Is essential to own for those who are business owners. In Laguna Beach, California, it is no secret to us that within the past few decades, the Stand-up Paddle board industry has been growing like mad. Here at Sports Insurance Solutions, we guarantee guide services, rental businesses, camps, retail places, paddle fishing, manufacturers, special events and races, and virtually anything you can think to do on a paddle board. We’re one of the the nation’s top insurer of paddle board businesses. Our insurance experience and Paddle Boarding experience makes us able to get you the best coverage at the best price. We its time to get your Stand Up Paddle Board Insurance, take a look here. From a fellow boarder and surfer, I will make sure your covered in the proper way, without all the hassles and run-around. We have the best insurance at the best prices.